Asia-Pacific is now the largest regional marketplace for eCommerce. It’s estimated to represent 33.4% of total online retail sales, compared with 31.7% for North America. By 2018, the gap between Asia-Pacific and North American eCommerce is expected to grow to almost 7%. One country in the region, Japan, already has a well-developed eCommerce system. It ranks fourth overall in eCommerce sales, behind only China, the US, and the UK, with an estimated sales of $80 billion. Japan’s online sales are expected to grow to over $106 billion by 2018. Nearly all Japanese internet users, around 80% of the total population, shop online. The only online activity more popular than shopping is checking email. So what do you need to know about eCommerce in Japan? Here are seven things to consider. Most online shopping in Japana is conducted on marketplace or mall sites. Rakuten is the most popular shopping site, with 28.8% of the total eCommerce market share (compare that to Amazon which only has an 18% slice of the entire North American eCommerce market). Rounding out the top three Japanese online merchants are Amazon Japan and Yahoo! Japan Shopping. Together, these three platforms account for almost 50% of total eCommerce sales in the country. 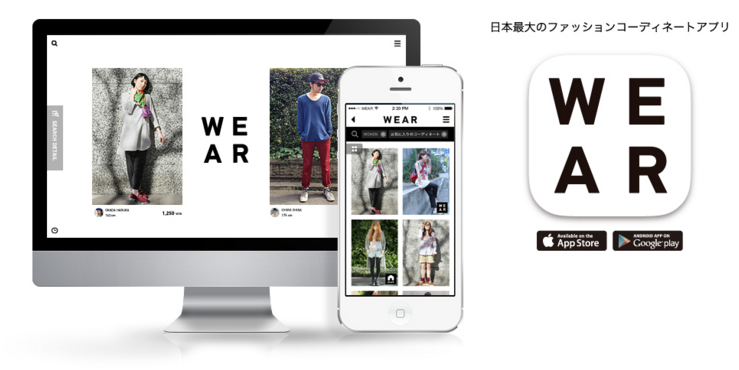 In 2014, the online retail fashion market in Japan was estimated to be worth more than $100 billion. One reason online fashion is so popular is that it extends the merchandise selection available to the Japanese shopper. Instead of developing their own eCommerce sites, many apparel brands prefer to participate in online malls. ZOZOTOWN is the number one mall in Japan for apparel. Its online store offers access to over 700 brands. Other platforms include iQon, which targets young women who experiment with building outfits; and Origami, a mobile-first social shopping app that enables users to follow specific brands and receive notifications when new items are available. Many people in Japan use more than one phone to research, shop, and pay online, leading to a mobile penetration of over 136%. It shouldn’t come as a surprise then that mobile commerce generated $12.8 billion in sales last year. ZOZOTOWN garnered 40% of its sales from mobile devices last year. Rakuten says mobile transactions exceed 30% of total sales. Here are some of popular fashion apps. This app uses artificial intelligence to learn about a shopper’s tastes in clothing. Users are shown items which can be rated “like” or “not like”. If an item is selected, users can view more detailed information, or opt to see similar pieces. Meanwhile, a ‘favorite’ feature creates a wish list. If a user decides to make a purchase, the app sends them to an online store selling that item. The company has partnered with over 2500 fashion brands, including many from outside Japan. If you have teenage daughters, you’re well aware of the complaint of “I have nothing to wear!” Well XZ is a solution to that problem. Users register what’s in their closets, and the app will then generate outfits based on what a user currently owns. It also helps them create outfits with suggestions for new purchases. A social component allows other members of the community to comment on outfits. This app, run by ZOZOTOWN, enables you to find inspiration from various looks that other users have uploaded. If an outfit catches your fancy, you can use the app to find shops that carry the item or buy it straight from the brand’s website. Local takes on new meaning in Japan. 99% of the population speaking only Japanese, and simply translating your site won’t really work. Japanese shoppers require a high degree of assurance when they make a purchase, and trust plays a critical role. This means a lot of information and technical specifications must be included on product pages, and it all has to make sense to the Japanese shopper, both linguistically and culturally. Cash-on-delivery – Rather than paying when an item is ordered, Japanese shoppers pay upon receipt of the goods. This requires an account with Yamato or Sagawa (Japanese shipping carriers). Bank Transfer – Customers of financial institutions such as Rakuten Bank or Japan Net Bank can also make online bank transfers to pay for goods. A customer orders a product online. The customer prints a receipt at home. The customer has six days to go to a convenient store and pay with cash, after which the product is then sent to the customer. Merchants should be aware that Japanese customers are used to exceptionally fast delivery speed in Japan. In a country smaller than Montana, that should come as no surprise. The principal shipping firms, Sagawa and Kuroneko Yamato, are able to deliver the same day. Most people expect to receive their orders by the next day. A wait time longer than two days is unacceptable. 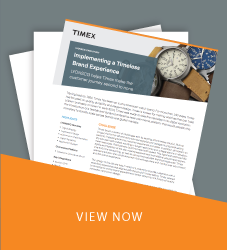 For companies shipping goods internationally, it’s imperative to communicate clearly to customers that the product is not available locally and that it will take longer to arrive. Effective October 1, 2015, foreign businesses providing electronic services or products will experience a consumption tax of 8%. The tax must be collected by the seller and paid to the government. It’s similar to the EU electronic services VAT that began in January 1, 2015. When making the move into an overseas market, there’s a lot of research and due diligence to consider before making any plans. As these seven things about eCommerce in Japan demonstrate, companies need to be well-versed in the differences in doing international business if they are to succeed. Want to learn more? Contact us. Yuki Maruyama is a Senior Applications Engineer on the LYONSCG eCommerce Implementation team, and has been working on Demandware sites since 2009 as a Front End Developer. Yuki is a certified Demandware Developer.